What is “the Cloud” and what can it do for your veterinary practice? Think back on the last week at work: where did you spend most of your time? Hopefully you were mostly giving vaccinations, writing prescriptions, and making sure your customers know how to give Fluffy her NSAIDs. But if you’re like most vets, too many hours were sucked up by tedious tasks like software updates, filing paperwork, tracking your practice’s financials, and hunting down lab results. The hours you lose to inefficient data management are at least as valuable as the pounds you spend updating outdated servers and recovering lost data: that’s time and money that should be spent with your patients and on your practice. Cloud-based veterinary management software is the digital age’s answer to missing weight charts and expensive server hardware. So much of your business runs on data—from customer communications to diagnostic information and management reports. That’s why keying into the Cloud is the best way to get your veterinary practice off the ground. Maybe it’s easier to talk about what the Cloud is not. It’s not a clunky server rattling away in the basement, storing information on all your patients’ medications and upcoming appointments. Which means it’s not the moody, unreliable 90s technological hangover that throws a fit every few months when it needs some attention or an upgrade, and it’s not something that you constantly need to set aside time and money for to ensure that patient information, the lifeblood of your practice, keeps flowing. 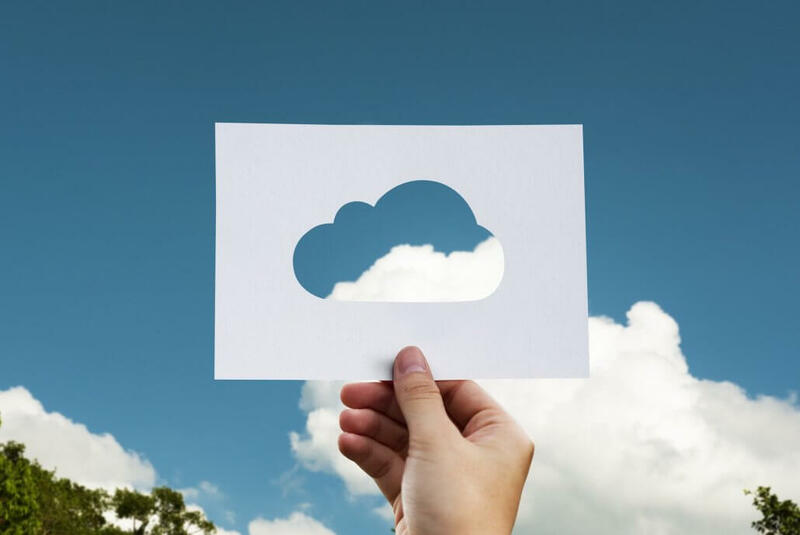 Basically, cloud-based data storage just means all your data lives on the web, rather than being stored on a persnickety piece of hardware that you have to manage yourself. So in short, for any veterinary practice that wants to keep animals and their families front and center, the Cloud is a gift from the heavens above. 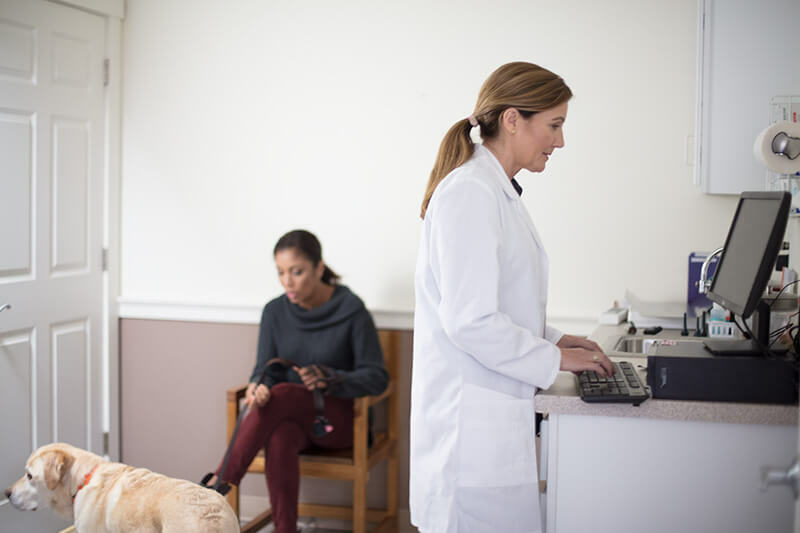 Any decent cloud-based veterinary management software will offer a set of core features for communicating with your customers and making sense of encyclopedic volumes of patient information. It’s these features that allow you to dedicate your schedule and budget to keeping patients healthy and families happy. We’ve heard it again and again in testimonials from vets who are already storing their data in the Cloud: the right software makes all the difference. Access your data anywhere. Because cloud-based software stores your information online rather than on a specific computer or server, all you need to get to it is an internet connection. Computer crash? Need to quickly access information from your smartphone while away from the office? No problem with the Cloud. Save time. Veterinarians should spend their time fixing animals, not computer servers. Updates, maintenance, and troubleshooting your server all steal time and resources from your patients. With cloud-based software, you just make a quick call to customer support and they do their job so you can do yours. Save money. Server-based software can range from £5,000 to £30,000 or more just with the initial equipment purchase, not to mention annual support fees and maintenance. When you move to the cloud, you’ll trim a digit or two off those totals. Secure your data. 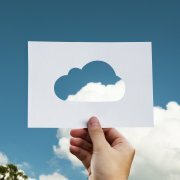 A good cloud-based software will use verified, secured, encrypted channels to transfer information from the data center to your computer. This means your customers can rest assured that their privacy is intact, and you never have to worry about losing data. Scale up with ease. Growth can often mean incurring new costs, like setting up new servers at new locations. Cloud-based software grows with your business, and your costs stay the same whether you remain a small local practice or are planning to open up some new branches this year. For veterinary practices that make the jump to the cloud, the sky’s the limit. Interested in learning more about cloud-based software, veterinary management, and what makes a successful practice in the digital age? You could hire an extra IT person or two, or you could just subscribe to our email newsletter. We’ll keep you updated on everything going on in the industry so you can make informed decisions and keep your patients happy and healthy. If you’re thinking about making the jump to the cloud, why not let us show you what it’s all about? Schedule a free demo of Animana so you can see what working with cutting-edge, user-friendly practice management software looks like.